One of the most recognizable brands to emerge from Los Angeles’ startup scene, Dollar Shave Club aims to become a global operation with the backing of the London-based consumer goods and food giant. 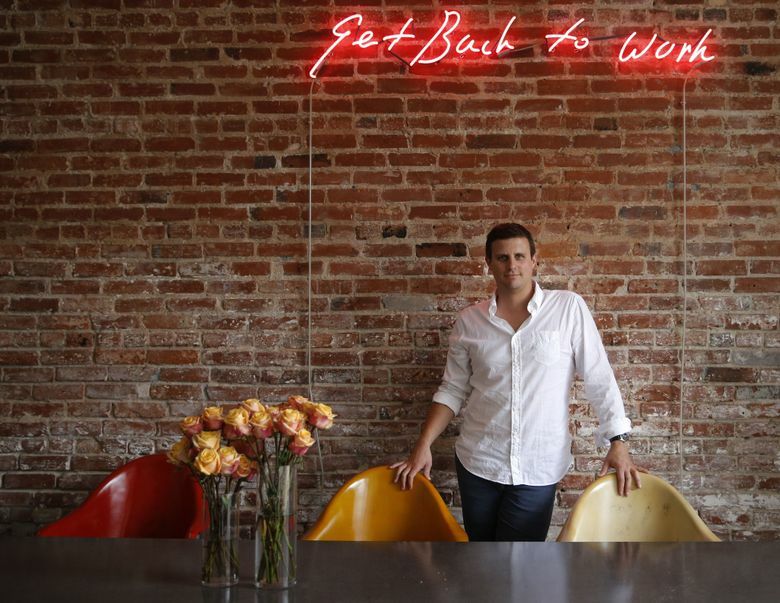 LOS ANGELES — Dollar Shave Club, one of the most recognizable brands to emerge from Los Angeles’ startup scene, set out to overhaul the razor-blade business four years ago with an online subscription service for affordable blades. Now the company is joining forces with the kind of corporate giant it aimed to undermine. Unilever, the London-based consumer goods and food behemoth, is paying $1 billion to acquire Dollar Shave Club. Neither Dollar Shave Club nor Unilever disclosed terms of the deal, but two sources familiar with the matter, who were not authorized to discuss it publicly, said the privately held startup’s shareholders will divvy up the sum in cash. Born out of a holiday-party conversation in 2010, Dollar Shave Club was launched by founder Mike Dubin two years later. Since then, it has amassed 3.2 million subscribers and expanded with a line of men’s hair and skin products as well as wet wipes. Its purchase price, first reported by Fortune, is apparently the largest acquisition of a venture-backed Los Angeles startup since Walt Disney Co. acquired online video company Maker Studios for as much as $950 million in 2014. Dollar Shave Club had been valued at about $630 million before the sale. Dubin, who is to remain at Dollar Shave Club as chief executive, said the two sides had been talking for months about an investment. Those talks evolved into discussions about an acquisition after Dubin acknowledged how Unilever could help Dollar Shave Club grow into a global brand, beyond its current operations in the U.S., Canada and Australia. “It was a flight we didn’t want to miss,” Dubin said. Dollar Shave Club will remain largely independent to build its brand, which was made famous by a series of tongue-in-cheek viral videos starring Dubin. The company also will get to retain all 190 of its employees, Dubin said. Though Dollar Shave Club has yet to turn a profit, the company had revenue of $152 million last year and was on track to exceed $200 million this year. It invests heavily in marketing, including paying for a commercial during the Super Bowl this year. The company remains enmeshed in a lawsuit with rival Gillette, which started its own online subscription service in 2014. Gillette, which is owned by Procter & Gamble, alleges Dollar Shave Club stole one of its patents to reduce wear and tear on its razor blades. Dubin declined to comment on the lawsuit and whether it had an effect on the sale to Unilever. Investors in Dollar Shave Club said the sale would help in the fight with Procter & Gamble. Unilever had nearly $60 billion in sales last year in 190 countries. Among its best known brands are Dove, Axe, Lipton and Ben & Jerry’s. Dubin started his business after complaining about the hassles of shaving with eventual co-founder Mark Levine, the father of a friend’s fiancee, at a holiday party. The two later partnered with L.A.-area startup accelerator Science Inc.
During those early days, Dubin would staff the printers at Science, printing postage labels and affixing them to boxes filled with blades.